For the full list of publications, see complete CV . If you have no access to the journal articles, please contact me. Reviews by: Jude Fokwang. 2016. American Anthropologist 118(4): 849–850. Ousmanou Adama, Schweizerische Gesellschaft für Afrikastudien. Newsletter 2016-2. Pelican, Michaela. 2006. Getting along in the Grassfields: interethnic relations and identity politics in Northwest Cameroon. Halle, Saale: Universitäts- und Landesbibliothek Sachsen-Anhalt. Pelican, Michaela. 1999. Die Arbeit der Mbororo-Frauen früher und heute: eine Studie zum Wandel der sozio-ökonomischen Situation semi-nomadischer Fulbe-Frauen in Nordwest Kamerun. Bayreuth: Universitätsbibliothek Bayreuth. Damir-Geilsdorf, Sabine, Mira Menzfeld und Michaela Pelican (eds.). 2014. Islam und Sport: Einblicke in das interdisziplinäre Forschungs- und Lehrprojekt „Ethnographie vor der Haustür“ der Universität zu Köln. Kölner Arbeitspapiere zur Ethnologie 5. Institut für Ethnologie, Universität zu Köln. Pelican, Michaela. 2017. La complessitá dell'indigenitá e dell' autoctonia: Un caso africano. In: Maria Sapignoli and Robert K. Hitchcock and Gaetano Mangiameli (eds. ), 2017, La Questione Indigena in Africa, UNICOPLI, Milano: 73-115. In this chapter, I focus on indigeneity as a particular category of ethnicity that over the past decades has gained global relevance and that here serves as an example of ethnicity as a political resource. Drawing on the examples of indigenous rights movements in Botswana, Tanzania and Cameroon, I argue that its political dimensions are the central feature of indigeneity, particularly in the African context. This contribution focuses on Cameroonian migrants in Dubai. It uses the framework of neoliberalism to shed light on the structural constraints – both the global inequalities and the disciplining techniques – that impact on the lives and agency of migrants in the Gulf. At the same time, the contribution will discuss the migrants’ own assessment of capitalist opportunities and constraints. As I will argue, their views and practices challenge widespread assumptions about labor migrants’ economic and legal impasse in the Gulf. 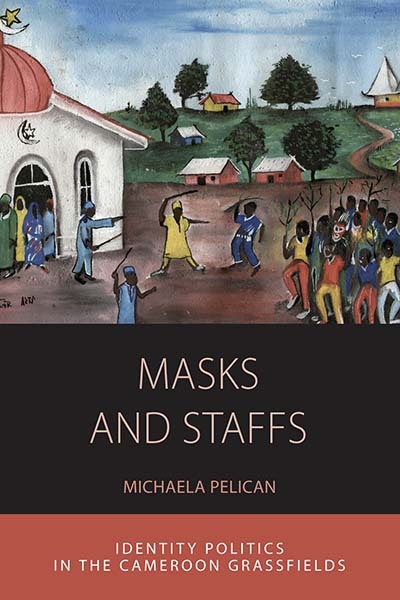 The chapter will thus contribute to a more nuanced understanding of the culturally and regionally specific workings of neoliberalism as well as the interconnections between Africa and the Gulf. This article outlines the different trajectories of the indigenous rights movement in Africa, and discusses the factors that have contributed to its success or decline. Two case studies are compared; namely, the case of the San people of Botswana in Southern Africa, and the case of the Mbororo people of Cameroon in West Africa. On a general level, this article argues that the indigenous rights movement in different parts of Africa has gone through various phases, from expectation and success to disillusionment and pragmatism. Moreover, it demonstrates that the San and Mbororo communities and other groups not only rely on the global indigenous rights movement, but have also adopted alternative and complementary strategies to deal with the unforeseen consequences of this movement. Finally, we argue that our case studies attest to the enduring relevance of the nation-state and the ideal of ethnic coexistence in Africa. We speak of making a future, because a future is not only conceived of, it is not only a product of imagination, but it is also confronted and constructed through action, in a back-and forth process between actors and their environment. The processes that “making a future” consists of and the ways they differ between actors and societies, will be illustrated by the case studies in this special issue and will be become clearer in the course of this text. So far, public and scholarly engagement has focused on western perceptions of African migrants as political or economic refugees. Concurrently, the debates have centered on issues of integration, exclusion, xenophobia, brain drain, transnationalism, remittances, etc. In this special issue, we like to get away from the perspective of African migrants as “victims” and the idea of a uni-directional impetus (people going abroad, money flowing back). We would rather stress the self-directed nature of migration, migrants' entrepreneurial aspiration and orientation, and sometimes the success of these enterprises. Our geographic focus on South-South/East is not based on the assumption that African migration to the North is so much different, but rather that the new destinations in the South/East seem to resonate well with entrepreneurial aspirations. This contribution engages with urban lifeworlds and strategies of place making of Cameroonian traders and migrants in Dubai. It outlines their economic, spatial, and social imprint on Dubai’s cityscape, and discusses migrants’ self-understanding and transnational aspirations against the background of the UAE immigration system. Five years have passed since the adoption of the Declaration on the Rights of Indigenous Peoples. What difference has it made? Have the activists’ expectations materialized? How has the declaration been implemented? What are the responses of governmental and civil society actors? Drawing on institutional developments at the United Nations as well as the case of Cameroon and the Mbororo as a national minority group, this article aims to provide some answers to these questions. This article argues that both global and national power differences play a crucial role in shaping local imaginaries of international migration among youths in two Cameroonian cities - Bamenda and Yaoundé. While Yaoundé is the national capital, Bamenda is the headquarters of the Anglophone north-west, an area generally opposed to the ruling regime and claiming historical as well as contemporary political marginalisation. Physical mobility has long been associated with social mobility and viewed rather positively. In both areas more critical perspectives on international migration are emerging. This is reflected in differences in envisioned destinations as well as in terminologies and concepts. Thus, in Yaoundé 'the dangers of illegal migration' have become the topic of the day - a theme publicised by international organisations in collaboration with local NGOs. Conversely, youths in Bamenda consciously compare their conceptualisations of the advantages and disadvantages of life abroad on the basis of imparted experiences of migrant family members and friends. These discourses influence not only youths' perception of different forms of migrancy but also their assessment of their future in Cameroon. International migration is thus viewed in a broad discursive spectrum from virtue to vice, and perceptions are shaped by regional, national and international political discourse. Pelican, Michaela and Francesco Bondanini. 2014. Portrait of a Migrant Woman: Martha in Dubai. Documentary short, 14:20 min. Pelican, Michaela and Nikolaus Greil. 2013. 'Performing Ethnography': Cameroonian masked performance enacted by anthropology students of the University of Cologne as part of the course on methods of visual and theatre anthropology, 5:31 min. Radio interview on witchcraft (clipping, in German), 6 min. Interviews about the photo exhibition "Baohan Street: an African community in Guangzhou"